Plan With Me...My first visual plans post! Hi friends! 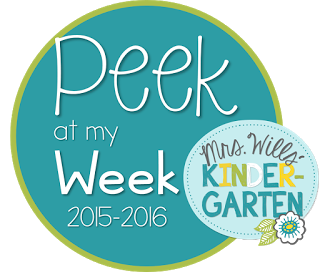 I cannot tell you how excited I am to begin a "real week" next week! 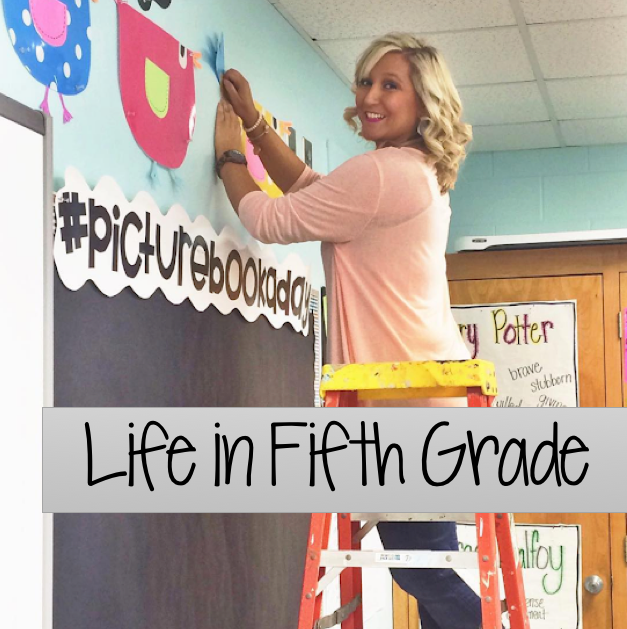 My kids came back on Wednesday, so last week was all about procedures and routines. Not that we've mastered that by any means, but it'll get there! I'm ready to dive in and get started with actual reading! Sundays on Life in Fifth Grade will be dedicated to sharing my weekly plans. Kinda like Deedee's visual plans link up, mixed with all the Plan With Me videos on Youtube. If you read this post, then you know I've become obsessed with decorating my Erin Condren Life Planner this summer and I LOVE watching all the videos of people decorating them on Youtube. I had no idea that hobby even existed! I don't own the EC Teacher Planner. I want it, but I haven't splurged yet...let me know if I should! I bought this Day Designer from Blue Sky at Target to use to plan out my weeks. Since this is the first week and Tuesday will be a short schedule due to the football scrimmage game in the afternoon, I will not be starting small groups. We will take STAR Reading sometime this week and I won't begin groups until after I get those scores since that's how I group my kids. So this week is whole group every day. I am determined to get a routine established with small groups since I majorly struggled with this last year, but next week is just not going to work out. If you share your visual plans, I want to know! Leave me a comment below! And also link up with Mrs. Wills! Your week looks great, and very very similar to mine in my 5th grade class. This will be our second week back to school and we will continue with close reading to dig deeper into the text to identify major literary elements. I see you are reading Frindle. I wanted to read it with my 5th graders, but a few of them came to our summer program and they read it then, so I decided to go with Maniac Magee. Have you read that one before? It will be my first time. Readworks has a great pacing guide to go with the book. Looking forward to it! Have a great first week back. Wow! Seems like you are making more work for yourself. 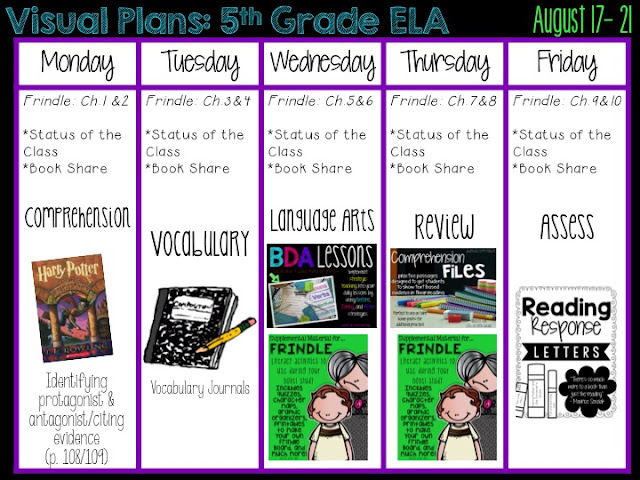 You are creating visual plans, plans in your target planner, AND lesson plans?!?! Don't they all have the same information? Yes, they all have the same info, but my admin requires a certain format for lesson plans, so I have to do them that way. I use the planner to plan out what is happening on what days and the visual plans were requested so I made them to share on here :) It's a lot of work, but it did help plan out the week! Thanks for sharing. Wondering what the "maroon and white game is." Also, how much time do you set aside daily for read aloud? We go back on September 1 and this summer I have stocked up on many of your supplies. I am excited to use them to help me supplement Reading Street materials. I know you use Reading Street as well--Frindle being the first story. How does that fit in to your schedule and do you use their assessments? Your planner makes me happy! AND I love Frindle! Probably one of my favorites when I taught the big guys! Thank you for linking up with me! Have a fab-u-lous week! Thank you! I was so excited that I finally got it together and linked up! :) Frindle is always a class favorite! Love your visual plans! When do you teach writing? Only on Language Arts days?